Today I am sharing with you a slightly older craft of mine which I have resurrected: The reader board. 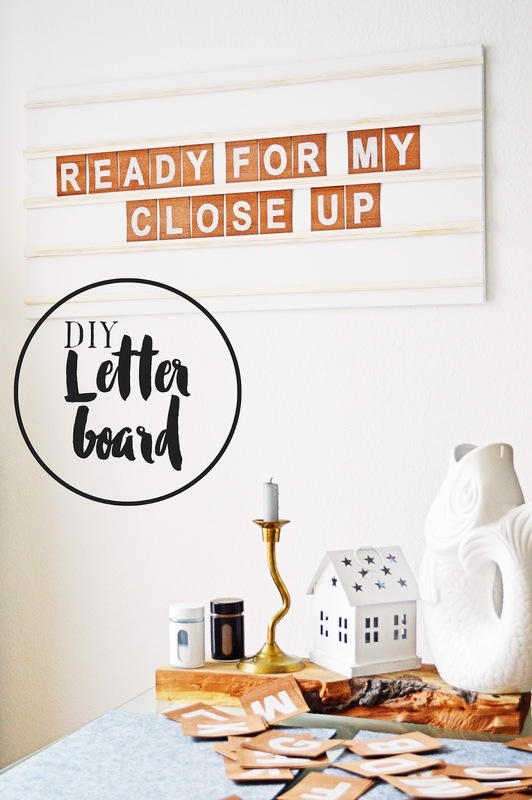 Letter boards have been all the rage for a little while now, mostly as a smaller version with little stick-on letters, or as a petite light box. I however am sticking to my larger design which I made a few years ago, mimicking old movie theatre signs. Bringing old Hollywood back into my living room, you know. Mr. DeMille, I am ready for my close-up! With a dimension of 1 by 0.5 meters it is hard to overlook what is currently running; mostly a comedy falsely advertised as “the thrill of the year” or an actual thriller that I never know whether it will let me sleep afterwards. Only occasionally a real Hollywood queen finds her way onto the silver screen of my living room, such as Marilyn or Audrey or Judy or Gene, and does the letter board justice. 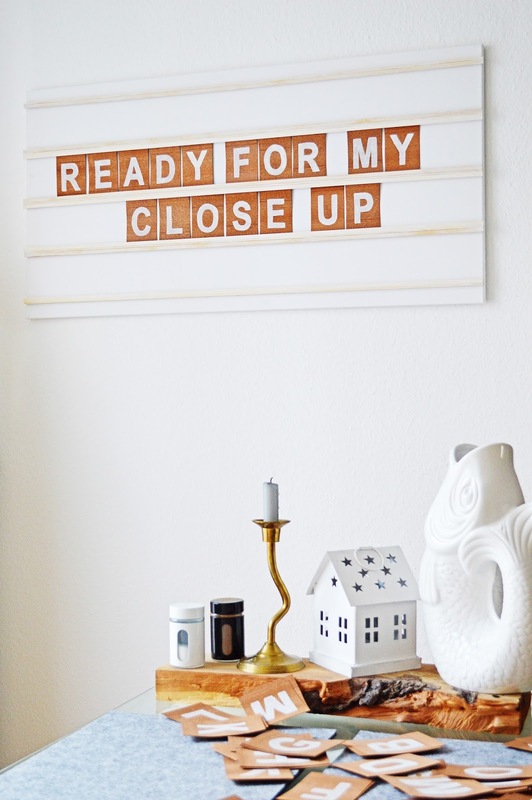 But luckily, whenever this is not the case, I can also use the letter board as a greeting card, a reminder, a mood board or a grocery list. The possibilities really are endless! 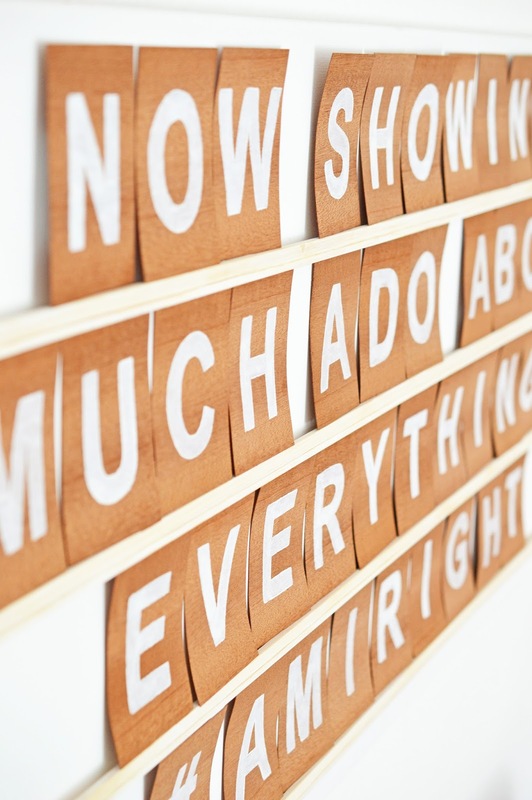 I am particularly fond of having to slide each letter onto the board individually. This requires prior planning, somewhat of commitment to your selected phrase and makes me feel like an old cinema operator. Which – in the comfort of your 21st -century home – actually feels quite nice. Perhaps one day I will get myself a pair of suspenders and a fedora and start smoking cigars. Who knows. 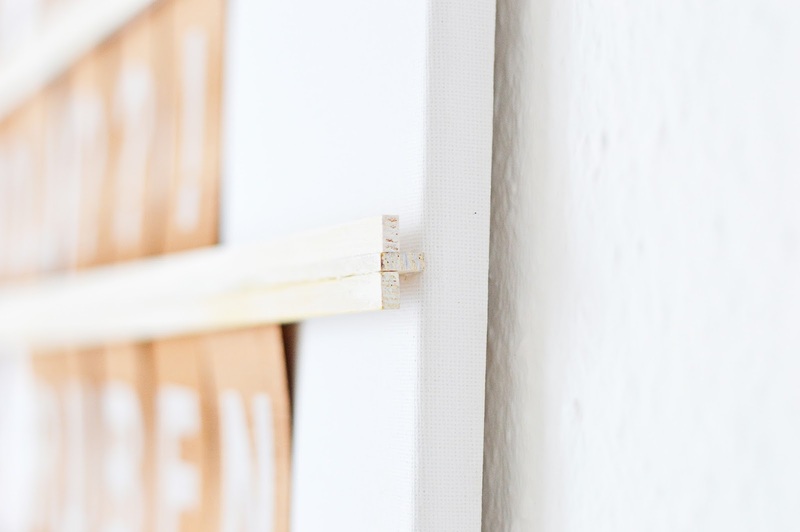 Start by painting all of your wooden slats white using acrylic paint and a paint brush. Let dry completely. 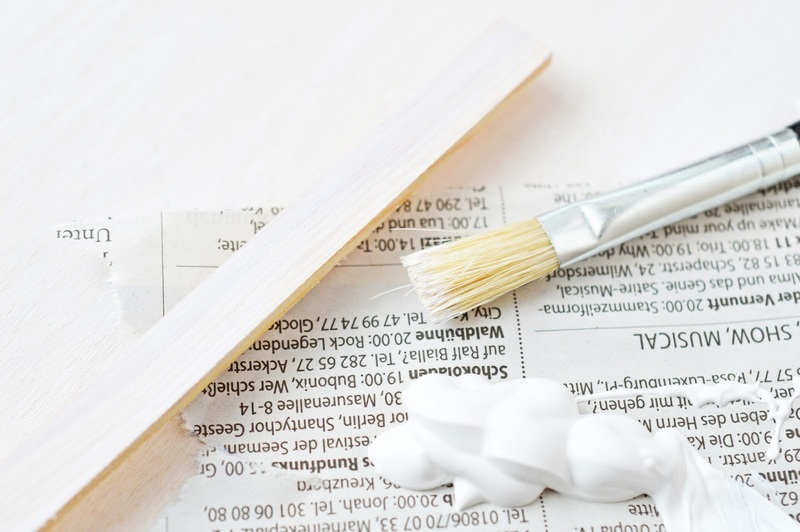 To create a more interesting texture, carefully remove some of the paint with sandpaper. 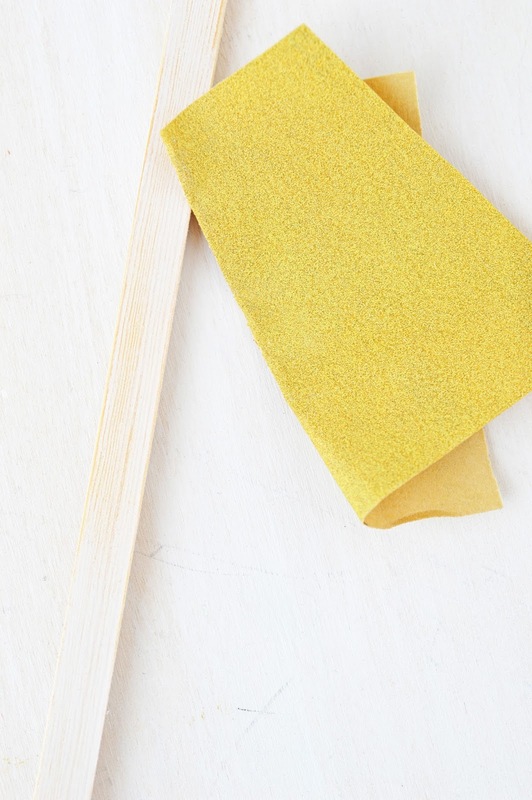 Remove any excess sander dust with a cloth or paper towel. Now it is time to glue the wooden slats together. 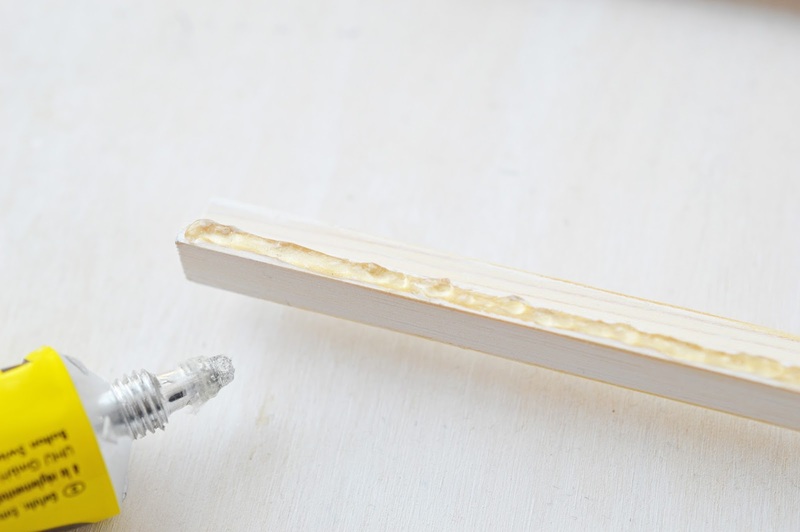 Start by creating five L-shapes: To five of the thinner wooden slats add wood glue to the thin (4mm) side of the slat and stick them onto a thick wooden slat: onto the thick side (10mm) as close to the edge as possible. Two L-shapes are now finished and remain untouched. 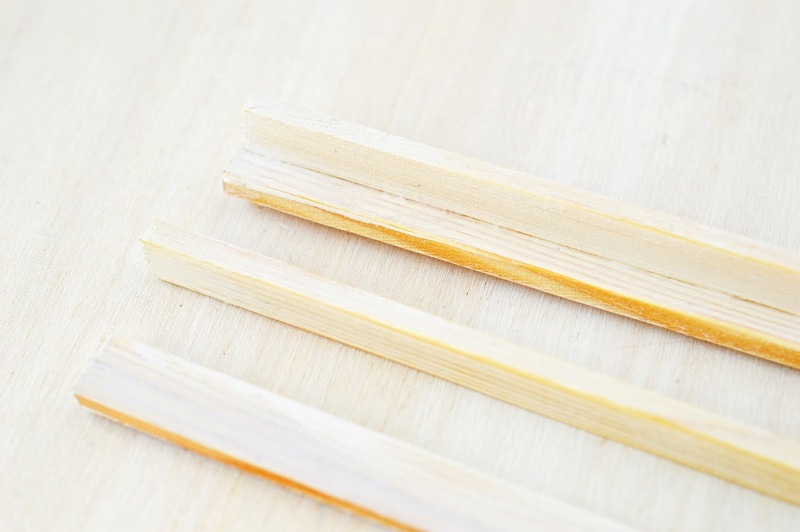 The remaining three L-shapes will now be altered to create three T-shapes: On the other side of the thicker slat (10mm) add another thinner slat, mirroring the other. 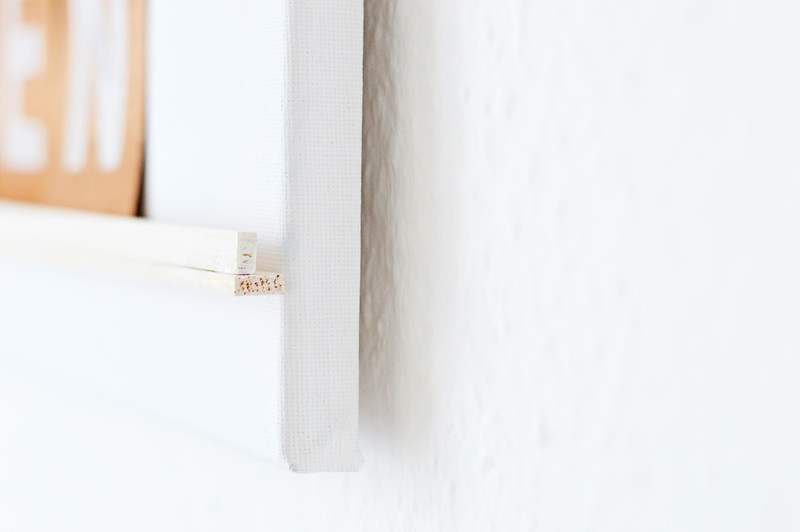 Before adding the slats to the canvas, measure out and mark where they should go to ensure that they are evenly distributed. Leave approx. 10,5cm of free space between each slat. 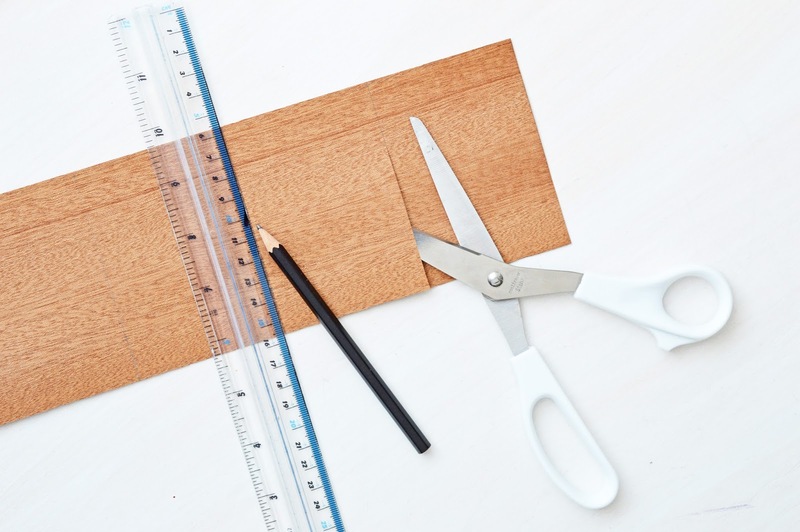 Use a ruler as a guide and a pencil for marking. 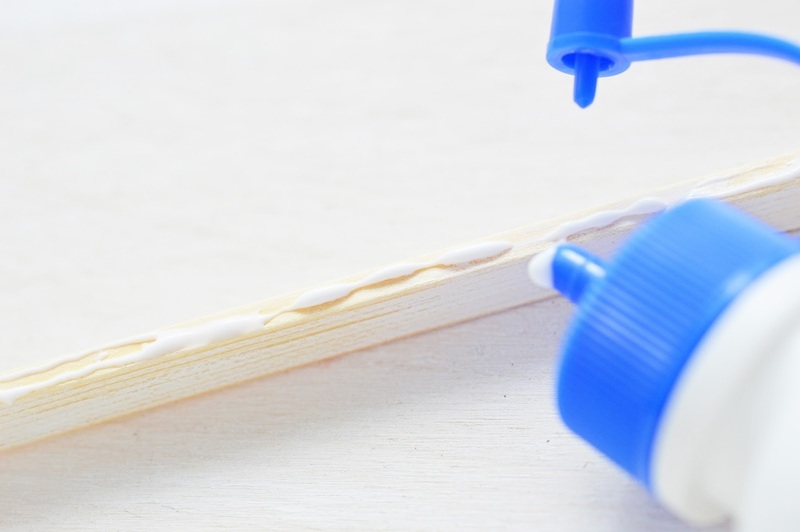 Glue the slats onto the marked positions. Be sure to add the three T-shapes to the middle, and the two L-shapes to the top and bottom of the board, facing inward. Let dry and your board is done. 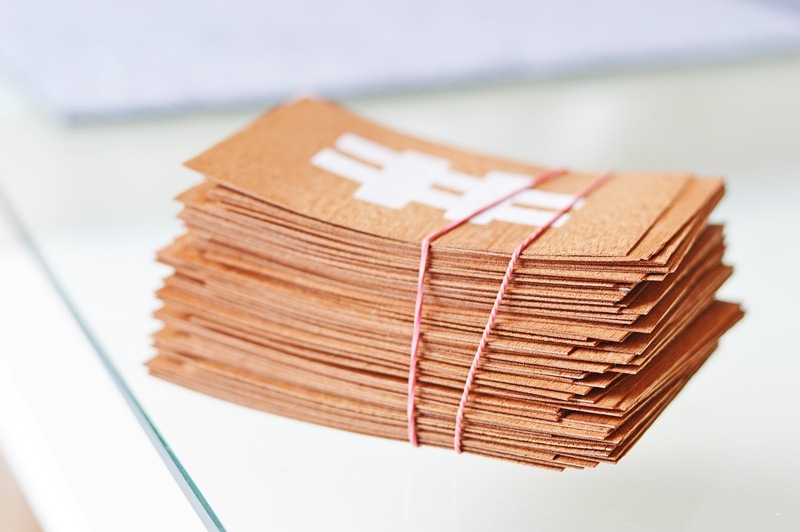 For the letters cut the veneer leaf or cardboard paper into cards that measure 7cm in width and 10cm in height. Be sure that they fit nicely in-between the wooden slats and can be moved around without falling out. 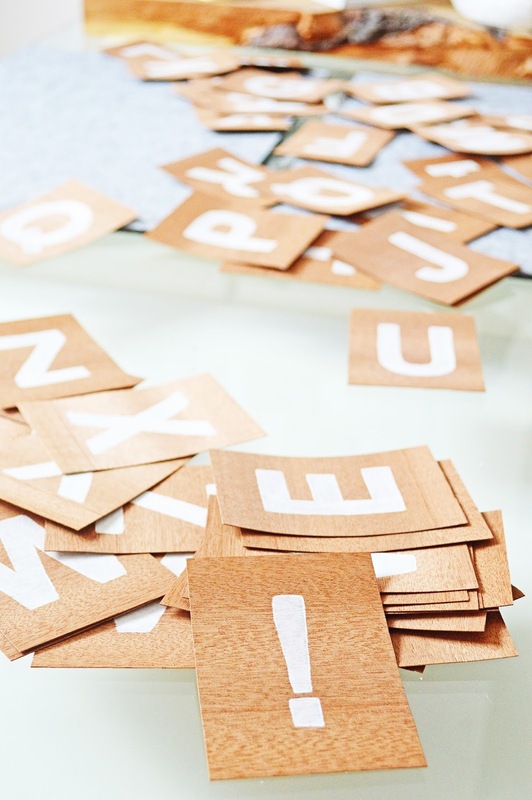 You can either paint on the letters free-handedly, or add letter stickers. I printed off the alphabet from my computer using the font “Arial Narrow”, font size 230pt. Generally, I recommend using a narrow font as wider letters such as the “W” might not fit otherwise. 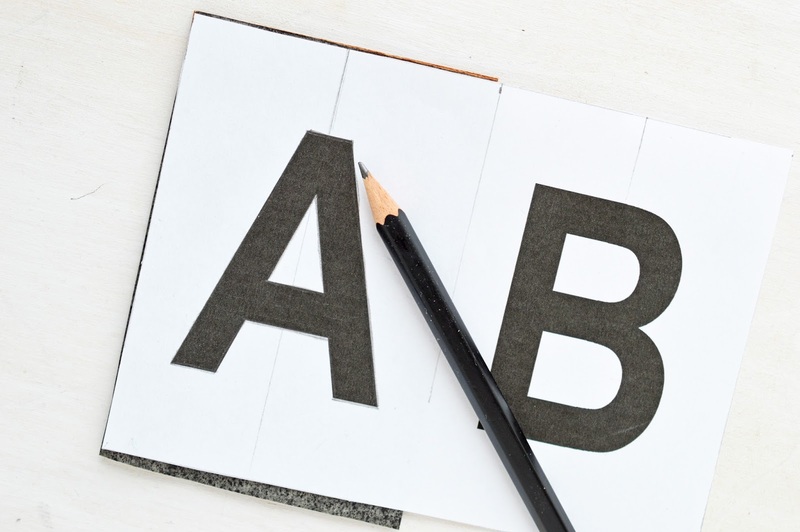 Transfer the letters onto the cards by sandwiching carbon paper (facing downward) in-between the veneer leaf (bottom) and the printed-out letter (top). To transfer the letters evenly it helps to leave 2cm from the top of the card make a guideline along the center of the card. 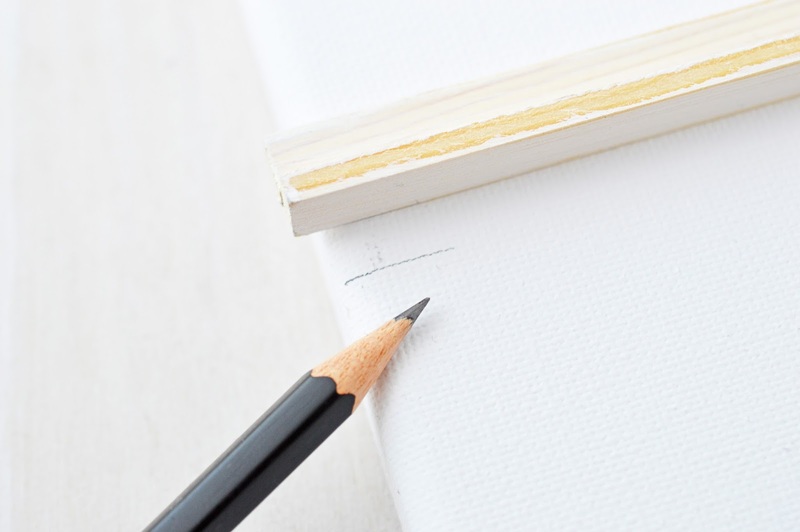 For a neat finish, trace the contours with a white marker. 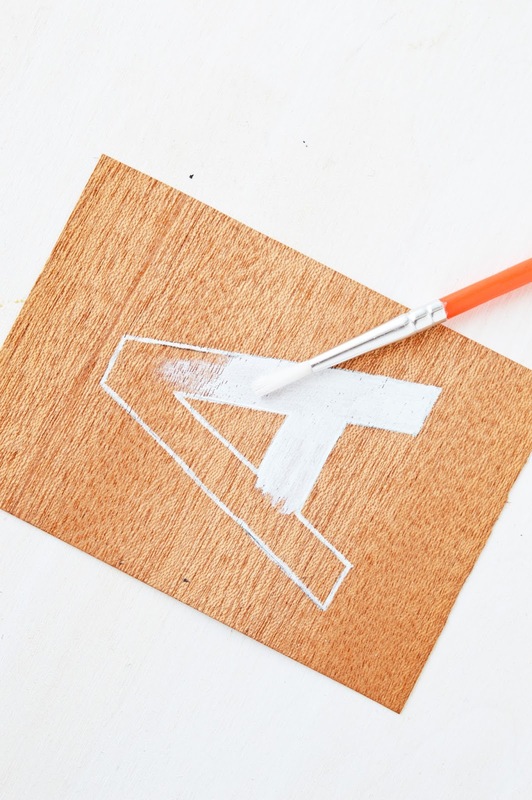 Then fill in the letters with white acrylic paint and let dry. 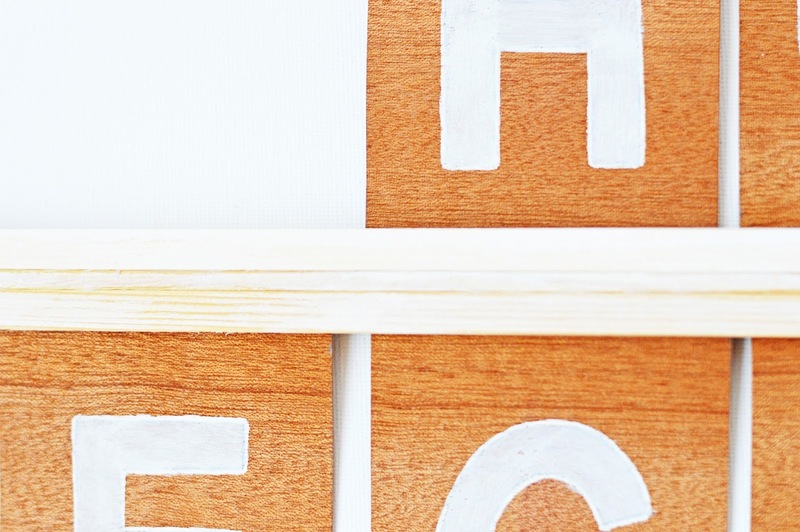 I recommend painting on the alphabet at least three times, adding a few more vowels and a few punctuation marks. 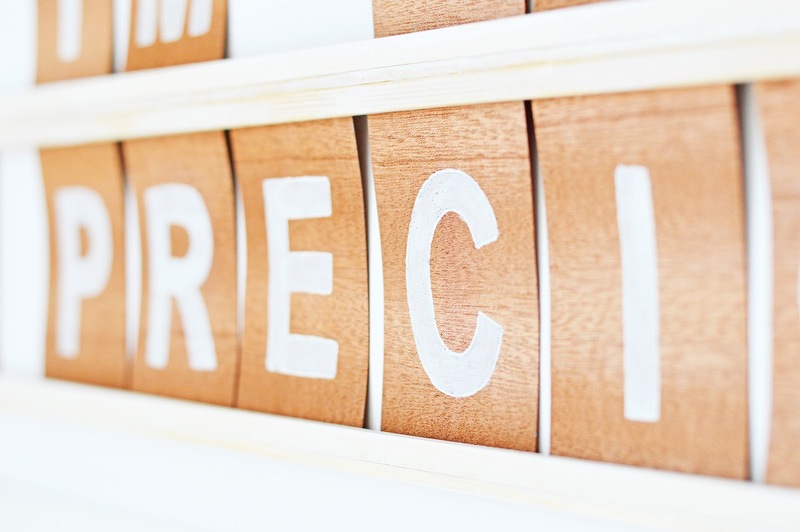 The more letters you have the more options you have. 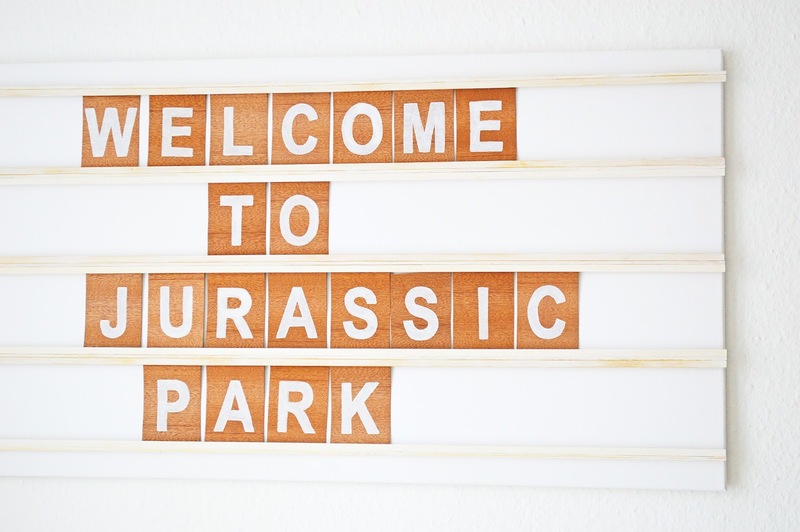 Hang the letter board and add your favorite movie quote, done! 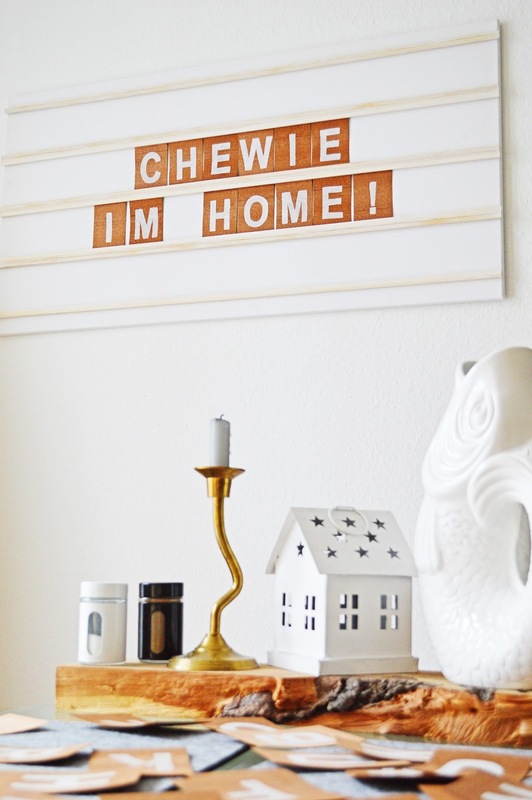 Das Letterboard ist der Hammer! Und ich hätte mir fast so ein schnödes Plastik-Ding angeschafft - das Teil ist so viel schöner!